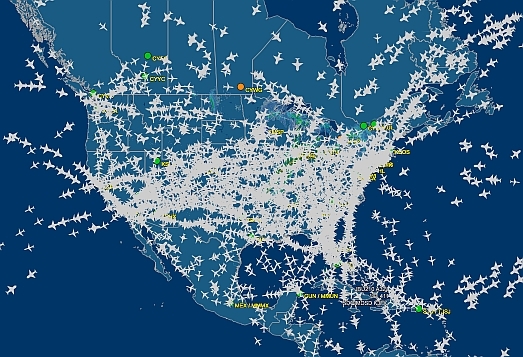 Now that the radar data in the US and Canada is real-time, we’ll soon be enabling public MLAT data in the US, which is real-time just like our ADS-B data. This is a major upgrade in data for folks in North America, and it will make using programs like PlanePlotter even more useful! For those who might be interested in building their own dedicated ADS-B receiver, information may be found here. Of course FlightAware may be used as an online flight checking service just for tracking the progress of a given flight, which is in itself a lot of fun! This entry was posted in Kits, News, Slightly Off Topic and tagged ADS-B, Aviation Monitoring, Utility on April 8, 2016 by Robert Gulley. 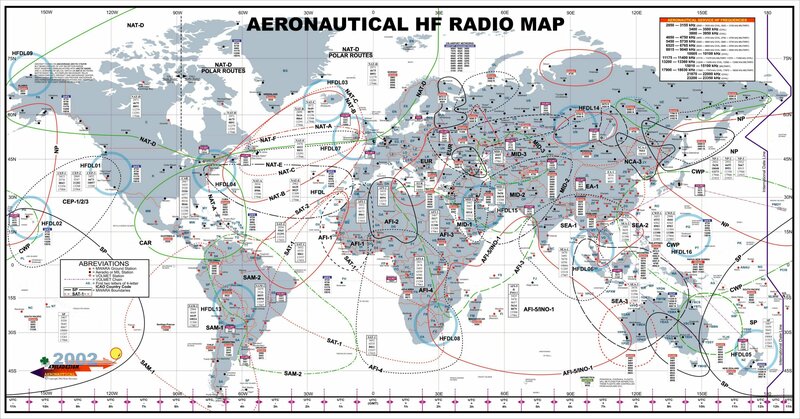 Many thanks to Craig Fuller who shared this excellent Aeronautical HF radio map on the Shortwave Listeners Global Facebook page. Click here or here to download the map as a large graphic. This entry was posted in News, Schedules and Frequencies, Shortwave Radio and tagged Aeronautical HF, Aeronautical HF Radio Map, Aeronautical Shortwave, Aviation Weather, Utility, VOLMET on September 3, 2015 by Thomas.